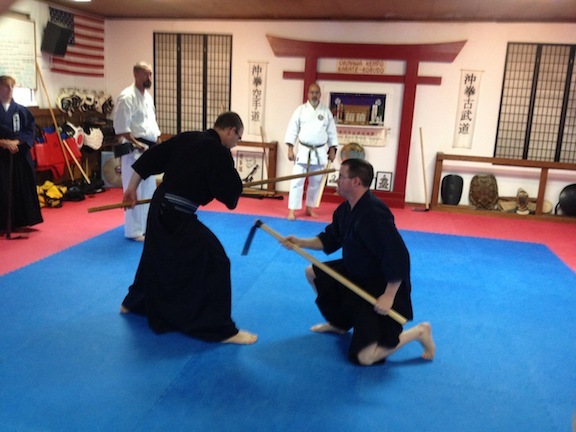 The 2013 IKKF FALL KOBUDO CAMP was held at the IKKF Honbu in Reading. The event was held October 19, 2013. The training was limited to Brown and Black Belts and focused on the Tunfa, Sai, Tekkos. 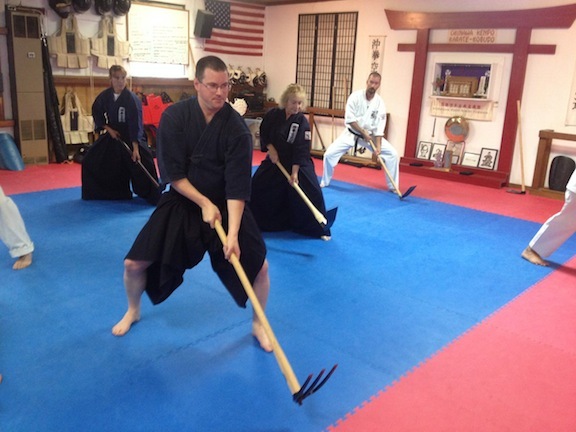 As a special treat, a major portion of the afternoons training was on the Okinawan Kuwa (Hoe) Kata and bunkai. 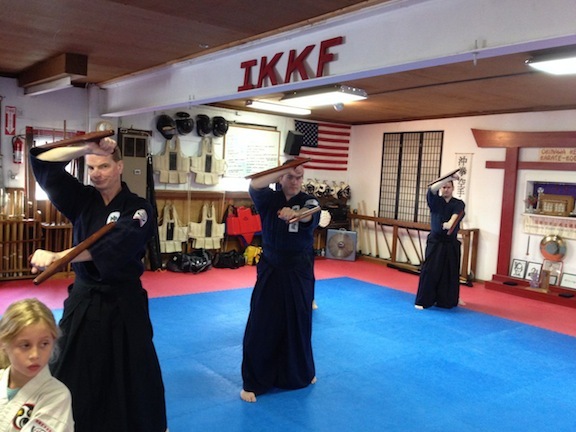 Some of the participants wore the formal IKKF Kobudo Uniform - Blue Kiogi and Hakama, which is reserved for those individuals who have been certified as Shodan (1st Degree Black Belt) in Kobudo or higher. 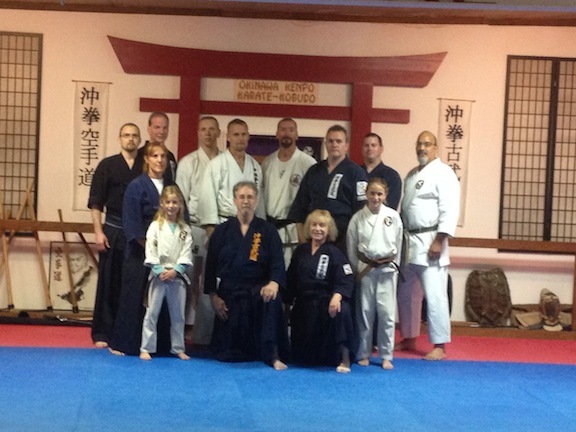 Group photo of some of the participants at the 2013 IKKF Fall Kobudo Camp held at the IKKF Honbu, Reading, Pa.
Group photo of participants working Hama Higa No tunfa. Another photo of three of the participants working their tunfa form. 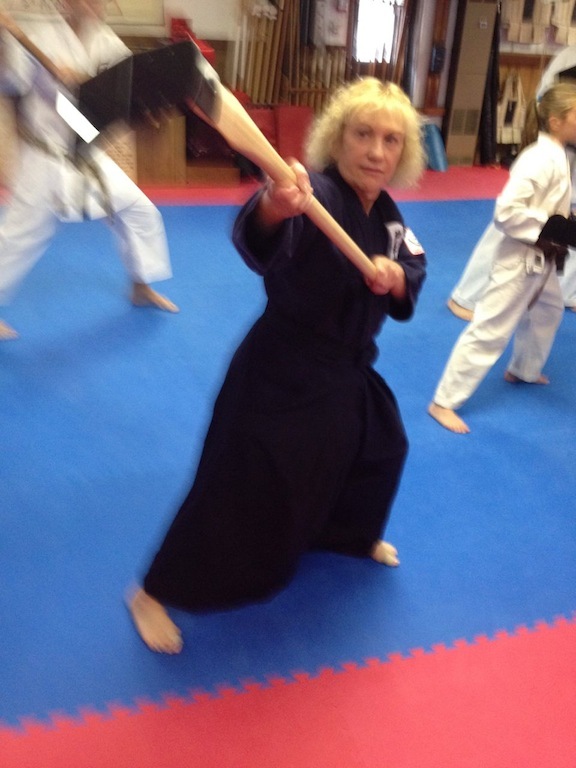 Hanshi Ann-Marie Heilman working group on Odo No Tunfa form. 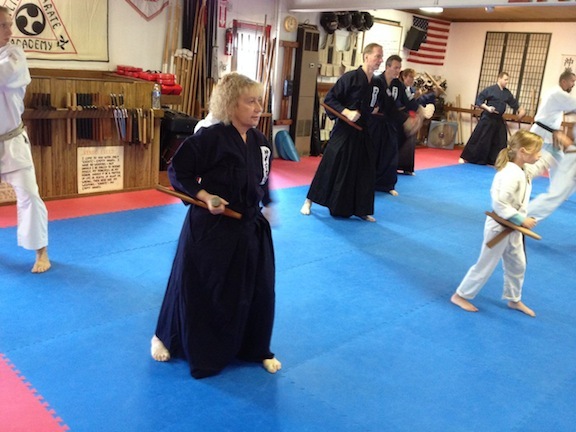 Yudansha Eric Mest leading group through Kuwa No Kata. 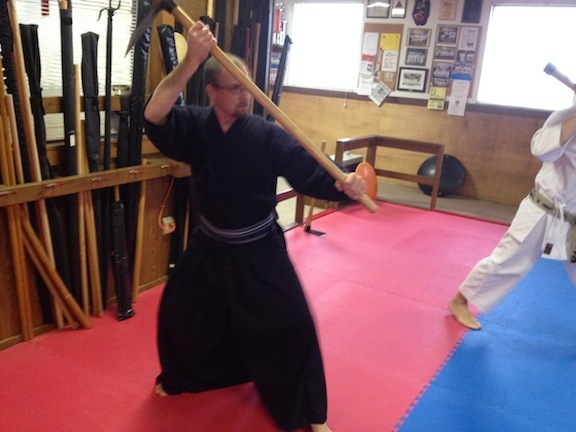 Yudansha Mike Sherman working a move from the Kuwa Kata. Mrs. Heilman preparing to strike the camera with her kuwa. 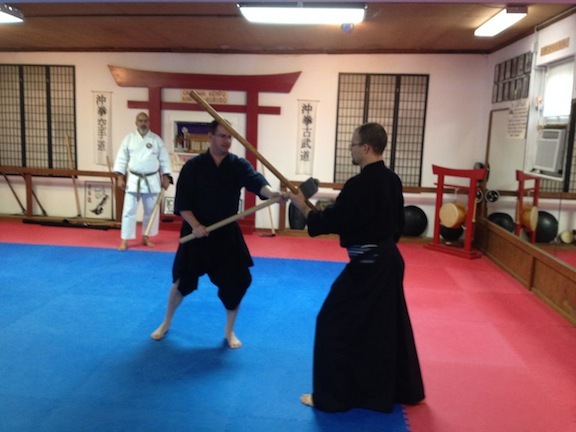 Yudansha's Eric Mest and Mike Sherman demonstrating bunkai (applications) out of the Kuwa Kata. 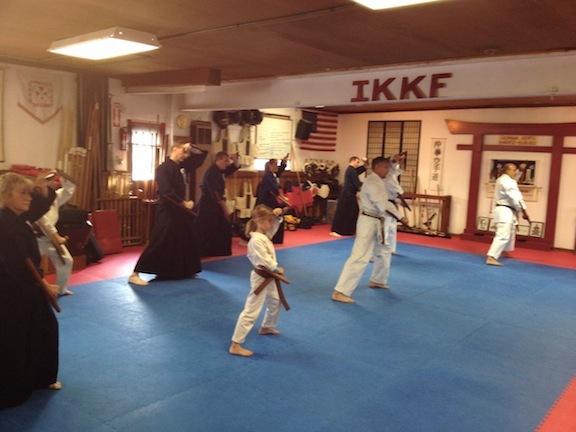 A old IKKF tradition - train hard and party hard. 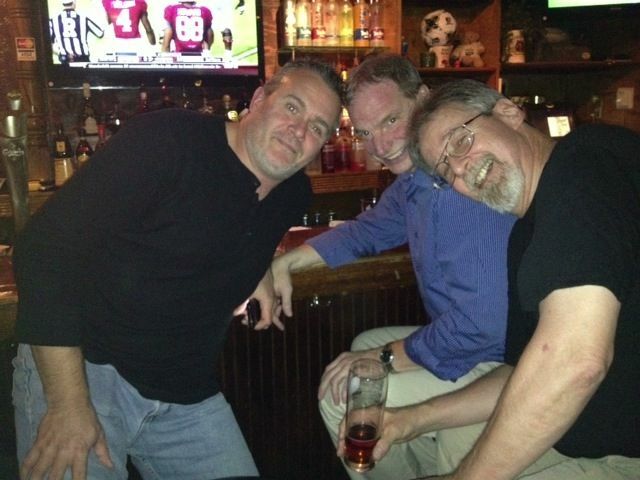 Kyoshi Baer and Rupert with Hanshi Heilman after dinner at an Irish Pub in Reading celebrating their many decades of dedicated training to the "old ways".